The first thing I did on the landing page of IMCreator.com is checking out their 60 seconds video tour. And I was kind of impressed by what I saw. 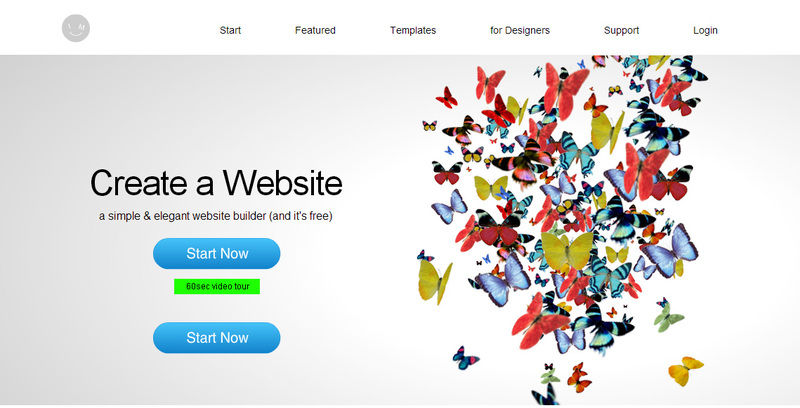 Very simplistic, mostly WYSIWYG style editing of websites. After clicking on Start Building in IMCreator‘s home page, you’re taken to a new page where you’re asked to choose a new template, start from blank or edit one of your existing sites. I chose a new template. I’m not sure on the exact count but there were more than hundreds of templates to choose from. The templates are sorted with a sidebar starting with popular and a lot of other categories. I went into photography. The names of the templates weren’t too helpful. Full of underscores and names and going by their descriptions such as “John_OnePager_Black”. It would be much better if these themes had proper names and titles to go along with. That’s the one I went into with incidentally. I clicked edit (the other option was preview) and I was taken to a new page much like preview except now I had the option to customize the page. Customization is very simple. Simply clicking on any elements selects that element and lets you change it. And it really is that simple. I was turning this generic gallery into my own. Not without hitch though. One out of three times while I was trying to upload a picture to the gallery, I was met with an unspecified error. I know it wasn’t the file size, as bigger files were going through than those that errored. Trying it multiple times does end up working. However, this is still an annoyance. Once I was done uploading the pictures, I set about to deleting the rest of the pre-existing generic gallery. Once I did that – I was left with a 5800px of website height and no content. That was easily solved. Clicking the Settings button at the top let me adjust the page size, background, SEO, and other things. I quickly brought down the site height to the appropriate length and was done with my website. I clicked publish and was given the option of an URL and a hosting through the website after I clicked a Facebook like button for them. 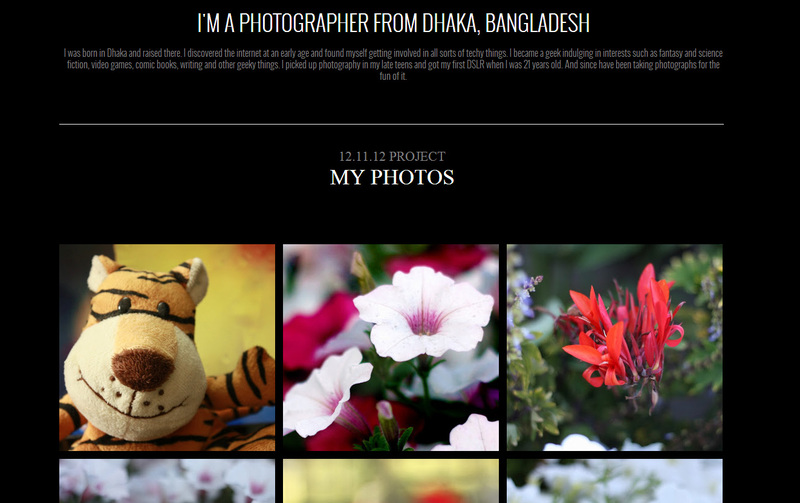 And my site was live at http://www.i-m.co/shahriaremil/shahriaremil/. And this all took me about half an hour. Not too shabby for a free website creator. You will notice that my link there has a persistent footer – an ad that won’t be there if you upgrade their services. I’m sure there are plenty of more features I could have used, but for a newbie at web development the ones I did find by tinkering around were more than enough to service my purpose. I did find a few things a little iffy, though. Element selection could be a pain if they were on top of each other. The uploader seemed to have inconsistence success. IM Creator has a template for a lot of types of people – musicians, architects, restaurant businesses, consultants, etc. It’s definitely worth giving a shot if you don’t want to deal with the hassle of having a website individually designed, more so if you’re on a budget. This website builder seems to be off to a decent start, with some more tweaking it could become very popular within a certain target market.